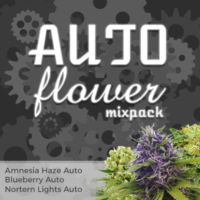 One of the most popular fruity flavors, blueberry has been combined with many different strains to add a fruity taste, and that ripe berry aroma. 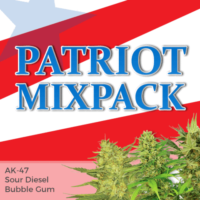 On its own, it’s a potent Indica, when combined with other high quality, awarded strains, it takes on new depths and characteristics, but all with that ‘tell-tale’ blueberry flavor. 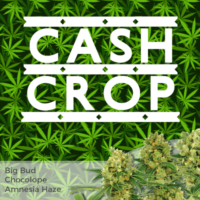 Completely feminized, each seed is guaranteed to germinate, producing the highest quality plants and buds. Grown indoors the plants will require approximately 8-9 weeks to completely mature when exposed to a 12/12 photo-period. While outdoors growers will produce large, tall plants, when grown over a complete season, with exceptionally heavy harvests from the end of September through to mid-October. Blue Haze – A powerful Blueberry-Haze hybrid with a deep flavor and soaring high. 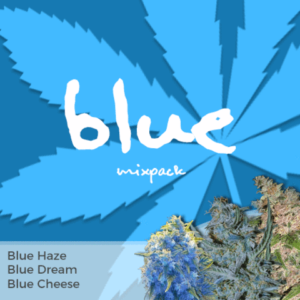 Blue Cheese – A versatile and easy to grow Indica dominant strain with a uniquely ‘moorish’ flavor. 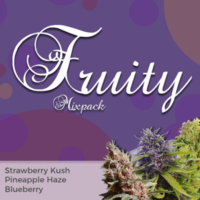 Some of the most popular fruity Blueberry strains.